In an oven-safe dish, add the pita chips on the bottom. Next, sprinkle on the cheeses. 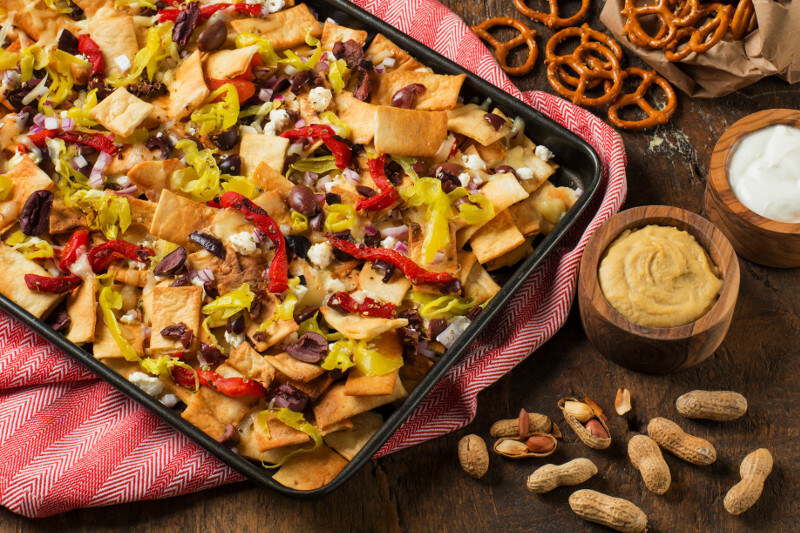 Crush the dried oregano between your fingers before sprinkling evenly over the nachos. Layer on the redo onion, olives and peppers. Bake 5-7 minutes until the cheese is melted. In a separate bowl, add some peperoncini brine to the Greek yogurt and mix well. Remove nachos from the oven. Top with Greek yogurt mixture and hummus. Serve hot!